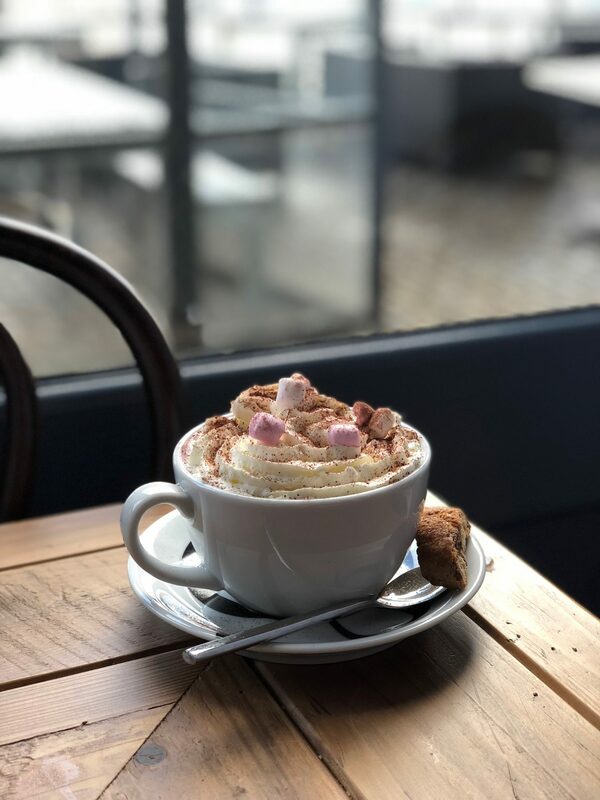 After the success of my best places to get breakfast in Plymouth and 10 of the best independent coffee shops in Plymouth, it only felt right that there should be a space carved on my blog for my love of hot chocolates too. It is no lie that I love to drown my body in thick hot chocolate liquid and blankets of soft marshmallows on the daily until I feel sick (which is most of the time) – they just taste so good. I’m a powder snob too, like I know a good hot choccy when I see one which is why I thought I’d devise this little post. 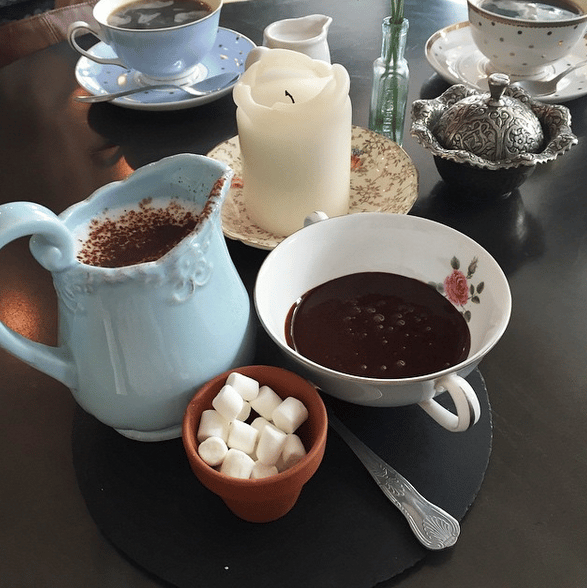 I’ve scouted out the best places for hot chocolate in Plymouth so you don’t have to. Thank me later. See that little cutie up there? It’s the latest in my love affairs of hot chocolate and I cannot even deal with how perfect it was. 10/10 for presentation and taste, there was nothing I didn’t like about it. Rhubarb & Mustard isn’t open on weekends during the winter hence why I’ve never been able to pop in before. I grabbed the opportunity to head in during my week off and I absolutely love that it’s so close to where I live. The industrial interior is a little bit of me, with a pegboard style menu, plants and cute tableware. Have I sold it yet? OMG – Hutong <3 I don’t know how I became so incredibly lucky to have this place as my local, but it’s everything I want from a coffee shop and more. It’s got a London/Shoreditch vibe to it and it’s no wonder that it’s always busy. I mean, they are renown for their amazing coffee, but their hot chocolate is next level too. 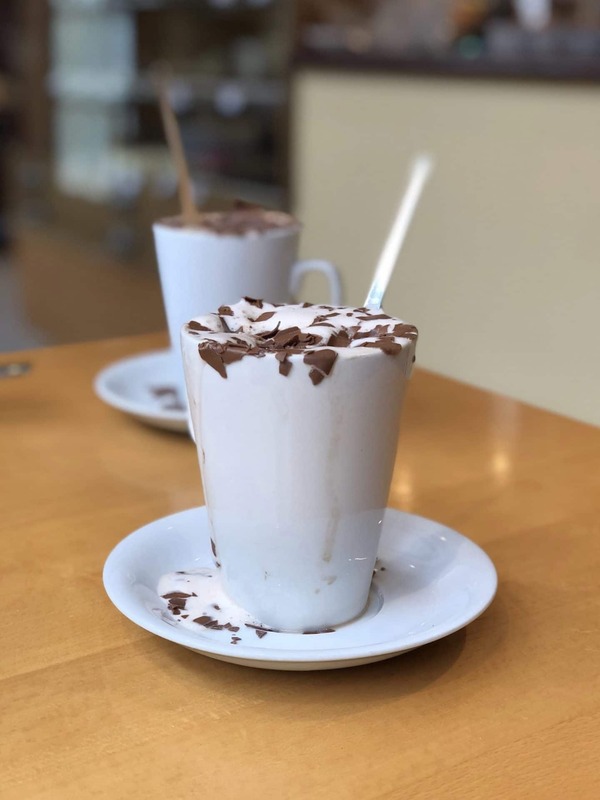 It’s probably, definitely in the top tier of best hot chocolates in Plymouth, it’s made from actual chocolate rather than powder from a tub, it’s so rich, chocolatey, thick and delicious. Over Christmas they even started putting a little meringue on top which was basically like the fluffiest marshmallow ever when it melted – who thinks of this stuff? It’s just situated outside the entrance to Royal William Yard, it does not disappoint. If you like chocolate, well I’m sure you do if you’re even reading this post, but seriously this is the place you need to head to. THEY HAVE A WHOLE MENU DEVOTED TO HOT CHOCOLATES FOR GOD SAKE. They know their stuff. All of their hot chocolates are made from their Belgian chocolate, it’s utterly delicious. I’d probably not recommend getting a cake too because it is far too much. You can also buy hot chocolate stirrer sticks from there which make amazing presents. 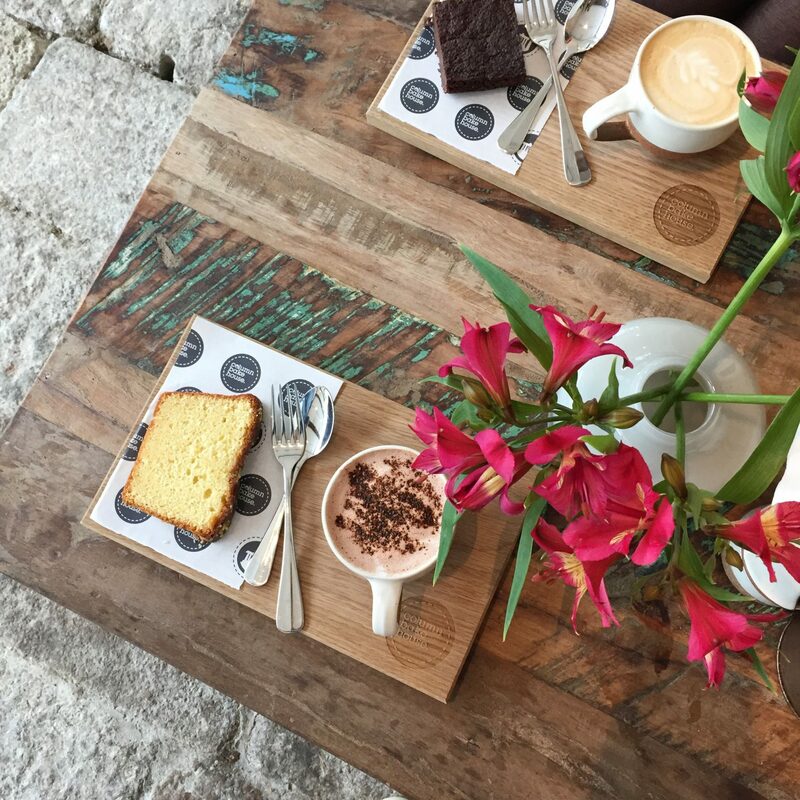 Chocaccino is based on the cobbled streets on the Barbican and is the perfect escape on a cold and rainy day. 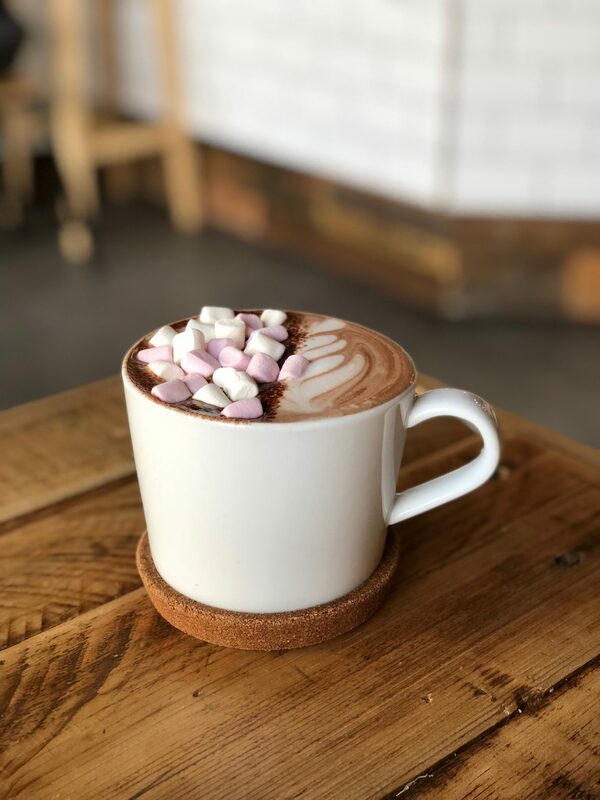 If you’ve read my posts before then you’ll know I absolutely love Rumpus Cosy hot chocolates and I was over the moon when it reopened again. This is the only place I have been to that does a deconstructed hot chocolate and it’s pretty much the best thing ever. The marshmallows even come in a mini plant pot and I’m just about that life. It’s the perfect place away from the hustle and bustle of the high street. TWO! We now have two column Bakehouses in Plymouth, the original in Devonport Guildhall and one in Royal William Yard which also has a store. Everything is freshly made and divine, I always pop in for a loaf of their famous sourdough if I feel like cutting bread for half an hour. I’ll always opt for a hot chocolate and a cake, because it’s too good to say no. It’s a simple, no thrills hot chocolate but it does what it needs to. 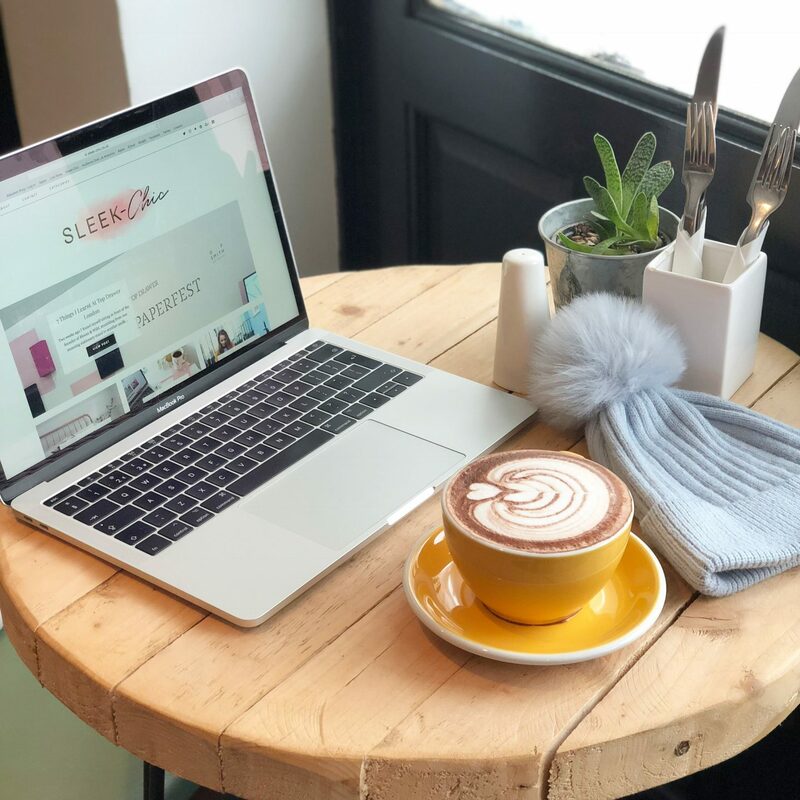 It’s chocolatey, warm and the atmosphere is calming and an amazing place if you want to take your laptop and do a bit of work. An absolute classic. Seco Lounge is the digestive biscuit of the coffee world in Plymouth. Such a favourite and if I spend every evening there I can. It’s the cosiest place to sit and I actually like going by myself with a book or my laptop for a morning. It’s a fairly sweet and rich hot chocolate, oh, and I always have marshmallows added too. One of the latest discoveries and newest openings in Plymouth is Brewer and Bean. Having said that, I’m pretty sure they’ve actually been open for a fair few months and I’m actually late to the party, but whatcha’ gonna do? You can get the full monty with cream, marshmallows and even a chocolate chip biscotti *insert heart eye emoji* – perfect for dunking in the cream and chocoately goodness. I love the seats by the window too, where else could you sip something so delicious and get a perfect sea and marina view? Their cakes are amazing too. So, there we have it! The 7 places you HAVE to add to your hot chocolate bucket list in Plymouth. Thirsty yet?